​ With over 25 year experience in the arts and over 18 in running art workshops in the community I am happy to offer art workshops in many creative disciplines individually tailored to you or your clients needs. I have experience with all ages and most needs. I have also worked in Further Education delivery UAL L3 teaching to 16 plus years. Since I have also been printmaking in some form or other since 2007 I now offer a programme of weekend printmaking courses in Linocut, drypoint and Collagraph printmaking techniques. I offer this in small groups in my studio in the lovely small town setting of Reepham, Norfolk. ​ As an Artist I am always trying to further my practice by regularly making my own work and exhibiting locally and nationally. I am a strong believer in keeping my hand in as it can genuinely help me deliver a sound teaching practice. Art for me is a way of life and learning is also beneficial to our well being and self esteem. We also hopefully meet interesting people along the way! The Popular Christmas Card printmaking day courses have returned again this year! ​ Limited places still AVAILABLE FOR THE linocut Christmas card printmaking days on: the 10th of November and the 1st of december 2018 but hurry these popular daycourses are getting booked up quickly! ​Please feel free to ask bout something if you are not sure: please contact me on how to book through the details on the poster below. 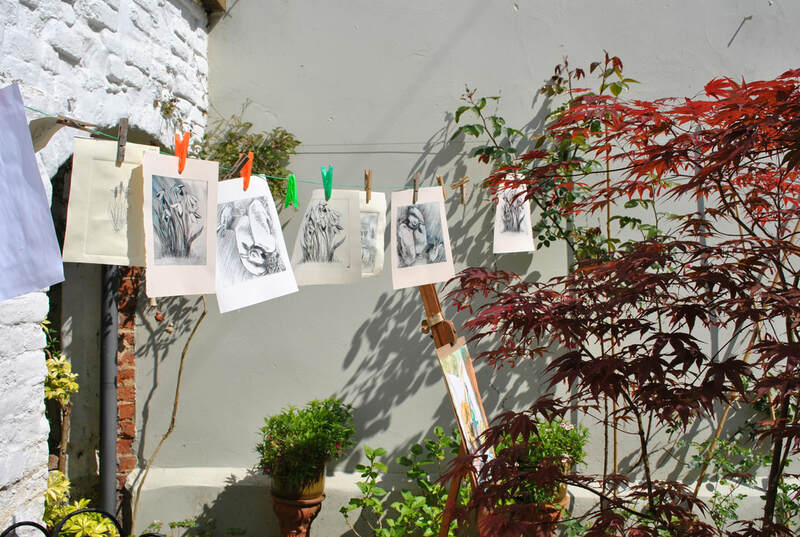 ​TWO SPACES STILL AVAILABLE FOR THE DRYPOINT PRINTMAKING WEEKEND, VERY SOON ON THE 29TH & 30TH OF SEPTEMBER! ​TO BOOK SEE POSTER BELOW. ​HAVE YOU EVER MADE A COLLAGRAPH PRINT?